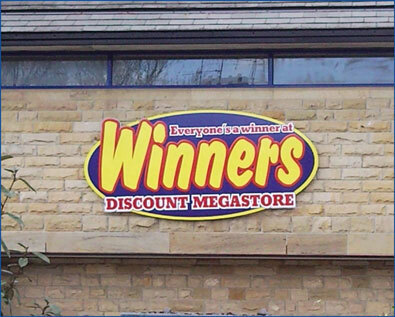 Winners Discount Megastore contacted us for their signage requirements. 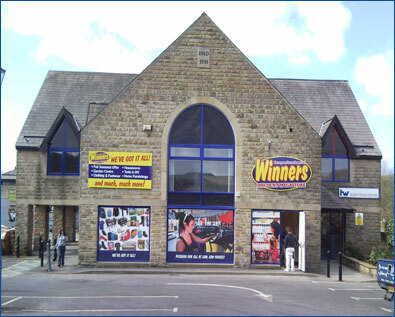 The first store was Rawtenstall in Rossendale, Lancashire. This was a 20,000 sq ft store which had been empty for 4 years and needed a major refit. Winners required signage both internally and externally. This included window graphics, full colour banners, external panel signage and free standing totem style signs. This project required initial site visits to measure up the signage requirements. Afterwards the signage was manufactured according to the client’s artwork. 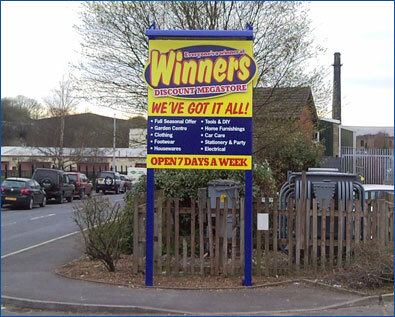 The signage was then transported and fitted on site ready for Winners to open their doors to the public.